Trend of smoking shisha is increasing day by day globally and even more in Europe. Initially it was used by elderly people and was considered as a tradition but now the concept has entirely changed. It is smoked more commonly among youth. Almost every college and university student smoke shisha as fashion. However smoking shisha is considered dangerous to health as compared to all other forms of smoking. And in accordance to British Health Foundation, smoking shisha is more dangerous as compared to cigarettes. Firstly write down the pros and cons of shisha smoking like, it is a major source of cancer, hypertension and diabetes. These are very dangerous diseases. No one is ready to be a victim of such diseases. 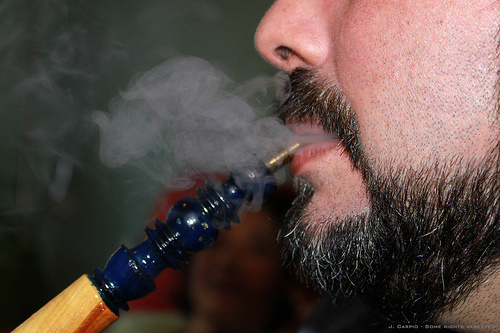 These diseases may result because smoke from shisha contains various deleterious materials like nicotine. First, decide enthusiastically and firmly to quit. It can only be done in a better way if smoker is fully aware about the disadvantages of smoking. 3. Select an appropriate replacement therapy. Whenever smokers feel some addiction, take candies, chocolates, chewing gums, carrots and even fruits in order to combat the crave for smoking. 4. Share your shisha quitting date with family. Once decided to quit shisha, share your decision with your family, your fast and sincere friends who can remind you if you started shisha again unfortunately. As it poses multiple risks to life and makes life miserable, try to keep in mind that good health can only be enjoyed by quitting shisha. As everyone in this world has the right to celebrate good health so why not keep oneself away from shisha. Life is actually the name of a planned series. Every person comes in this world as a child and after passing few steps he/she becomes an adult. It means always try to follow a schedule. When you decide to quit shisha, make an easy schedule. Don’t quit suddenly, rather try to change your habit of smoking shisha slowly because if you stop shisha smoking suddenly it will increase the chances of recurrence. Selling personal shisha is the best and ultimate solution to quit smoking. Try to change your company in which you mostly smoke. Or if you cannot change your company, then at least change the time of visiting your friends. Exercise is considered as the key to solution of all problems. Do exercise regularly and it will help in quitting shisha. Exercise keeps individuals active and healthy as mostly people smoke shisha for the sake of activeness and improved alertness. Set an ultimate goal of why you are quitting shisha; whether you want to enjoy a quality of life. Or whether you want to make your environment pollution free; or whether you don’t want to expose your family to the diseases caused by shisha smoking. As non-smoker is considered a good person as compared to a smoker so try to tag yourself a valuable person of the society.